For too long, I’ve tried to rationalize my way around the concatenation of Palestinian advocacy with some of the rankest anti-Jewish stereotyping this side of the Ku Klux Klan. I support Palestinian national and civil rights. I deplore Israel’s occupation of Palestinian territory as the appalling complex of crimes it is. A one page summary of the expulsion of Moshé Machover for use or distribution at meetings discussing motions on this matter. This evidence, prepared by Jonathan Rosenhead, was submitted to the select committee enquiry which was halted owing to the announcement of the General Election. As it is not clear when or whether the enquiry will resume in the new Parliament we are publishing our evidence now. This evidence was submitted on 30 March 2017. Free Speech on Israel is a Jewish-led group formed in April 2016 out of concerns that the surge in accusations of antisemitism in British public life, and especially within the Labour Party, in no way reflects the reality that we live in. 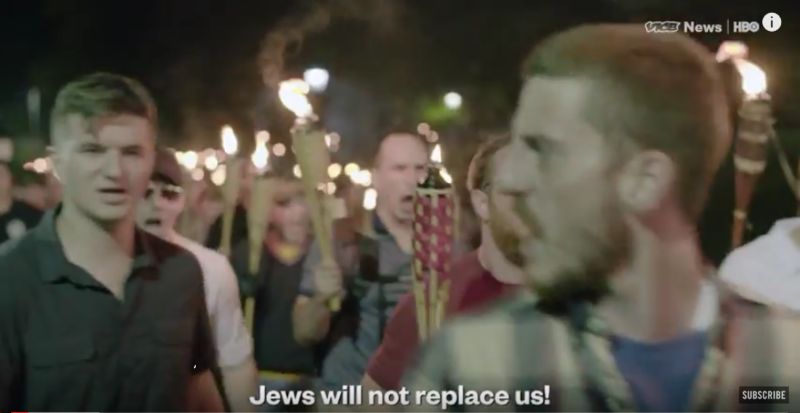 This concern now extends both to the unbalanced media coverage of this issue, and to the Government’s adoption of the International Holocaust Remembrance Association’s definition of antisemitism, which we find to be deeply flawed. See in particular the recently released legal Opinion on this subject. Our submission to your Inquiry focusses entirely on point 7: how UK policy is influenced by other states and interested parties. In particular we will address the extent to which the state of Israel has been exerting undue influence on the UK’s policy in respect of that country’s violations of the human rights of the Palestinian people. We start from the evidence revealed in the Al-Jazeera series of investigative reports The Lobby, transmitted in January 2017. Recent events have demonstrated that some national governments have an appetite to intervene in the political processes of other countries. The ability to do so will depend on the resources they can muster – such as electronic capabilities, finances devoted to that purpose, and well-disposed individuals in the target country. We further take the view that the formation of foreign policy in the UK (as in other countries) is not conducted only within political parties but involves a wider swathe of think tanks, academic researchers, businesses with spanning interests, influential organisations and individuals, media commentators and so on. Our comments will address that broader matrix. Those who call for a new disciplinary hearing simply because they didn’t like the conclusions of the previous one, demonstrate their contempt for democracy and due process. ‘Throughout the 1930s, as part of the regime’s determination to force Jews to leave Germany, there was almost unanimous support in German government and Nazi party circles for promoting Zionism among German Jews’ Is telling the truth also anti-Semitic? Support for Zionism can go hand in hand with anti-Semitism. What the campaign against Livingstone is really about is his long-standing support for the Palestinians and his opposition to Zionism and the policies of the Israeli state. Those who help to throw Livingstone overboard today are preparing the way for Jeremy Corbyn’s removal tomorrow. UPDATE April 7 – The pro Israel lobby, aligned with right-wingers across the political spectrum and media, have reacted with such fury to the suspension rather than expulsion of Ken Livingstone, that the Labour leadership has capitulated to the pressure and referred the case once again to the party’s National Executive Committee, abandoning any semblance of natural justice or democratic process. Nonetheless the involvement of Jewish party members in defending Ken Livingstone generated sufficient interest for a few broadcasters to run interviews with some of those who witnessed on his behalf. Hear Jonathan Rosenhead (54 minutes in) and Naomi Wimborne-Idrissi in separate Radio 5 Live interviews. Watch Jenny Manson on BBC News Channel. Walter Wolfgang featured in this Sky News report. Celebrated film maker Ken Loach told Shelagh Fogarty on LBC that they should listen to Jews who are not uncritical supporters of Israel. Statement from Jewish Labour Party members who gave evidence in support of Ken Livingstone at his hearing for alleged conduct prejudicial and/or grossly detrimental to the Labour Party. We are alarmed that the Labour Party’s National Constitutional Committee has bowed to demands for the suspension of Ken Livingstone, excluding him from the life of the party until April 2018. Jackie Walker was due to speak at a Scottish PSC meeting at St Columba’s by the Castle Church in Edinburgh on 20 March. One Edinburgh Jew claimed to the Church Rector that the meeting might have antisemitic connotations. The Rector amplified this claim into “criticism of Israel’s policies can have unintended consequences, leading to an increase in anti-Semitic attacks” and the Anglican Bishop of Edinburgh, John Armes, told him to cancel the Booking. FSOI has written to the Bishop to add our voice to that of Ken Loach and Miriam Margolyes and local activists in deploring this censorship and silencing of criticism of Israel. We are aware of the controversy surrounding your decision to prevent a Scottish Palestine Solidarity Campaign (SPSC) event from taking place at St Columba’s Church on March 20.